I always thought that the Messerschmitt was a good looking plane. I had an Airfix model in my collection. It was superb, just like a shark, Jaws with Jets. The basic design is still flying as the Boeing 737. Bikes….jet aircraft….it was all the same to Norman! I still feel sorry about his wife’s injuries all those years ago. I always wondered exactly how the pilots felt going from props to jets. It must have been exhilarating. The Meteor doesn’t seem quite as streamlined as I first thought. It wasn’t ! In the Korean War the Mig-15 would outclass it totally in aerial combat and it tended to be used for ground attack as it was very steady as a gun/rocket platform. It would take the exquisite lines of the F-86 to sort out the Mig-15, an aircraft powered, incidentally by the Russian version of the Rolls-Royce Nene. The Soviets bought a few from Rolls-Royce and then built their own. Naughty! Naughty! The Brits were foolish enough to give the soviets their advanced jet engine; what else could expect? As I understand it, there was an agreement between all three parties to share information. A forlorn attempt to avoid the unbelievable expense of the Cold War, presumably. Can you recommend any sources of information regarding the Meteor’s use during World War II? Personally, I have always preferred the second British jet, the Vampire, which was just too late for war service. The design has always intrigued me! I have never seen a book about the Meteor in WW2, mainly because so few saw service. There will perhaps be a few books about the Meteor in Korea, but, as I just found out, only the Australians flew them in combat there. The best two books I have read about early British jets are “Wings on My Sleeve: The World’s Greatest Test Pilot tells his story” by Eric Brown and “Empire of the Clouds: When Britain’s Aircraft Ruled the World” by James Hamilton-Paterson. In Korea most aircraft couldn’t match it with the MiG-15. Hence why everyone wanted to fly the Sabre but the Meteor was older by then. Absolutely correct. The Sabre was better than the Mig-15 but the Meteor couldn’t compete with the Mig-15. That’s why in the RAF it was often a night fighter, an all weather fighter, a ground attack aircraft and so on. 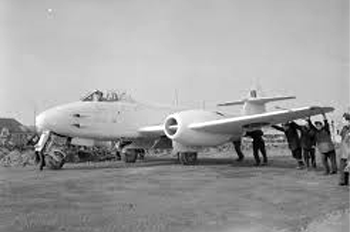 The Meteor F8 was used as an ordinary fighter but I don’t think it was anything special from what I’ve read. REPLY: Not at all. I was just going by the kill ratios which were hugely in favour of the F-86s, but as I just thought to myself, the kill ratios might actually reflect the numbers of aircraft involved or the training of the pilots flying them. Actually, I’m not too proud of my knowledge of jets! I do love the Meteor, partly for its history and partly as it was one my father worked on. A great little aeroplane. Somehow I don’t think you will enjoy the second part of this blog post quite as much. 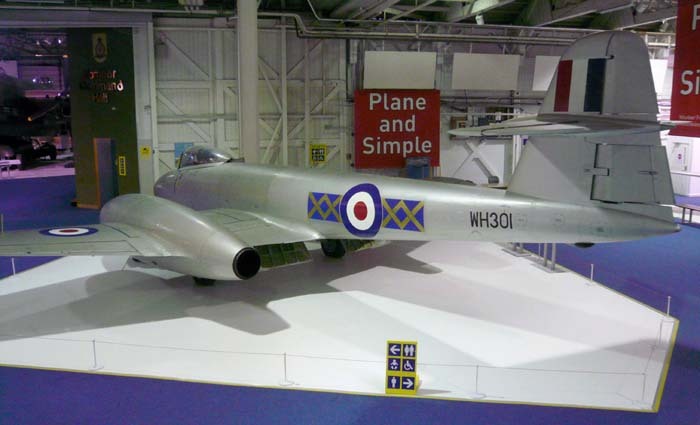 It is entitled “The Gloster Meteor at Hendon (2)” and examines in detail why the aircraft’s nickname was “The Meatbox”. Still, as somebody once said, “You can please some of the people all of the time, and all of the people some of the time but with an aircraft called the Meatbox, you may struggle for all of the people all of the time”. Oh dear! There have been many aircraft with unsavoury names and reputations, the B-26 Marauder, the F-104 Starfighter, but yet they were loved by many. 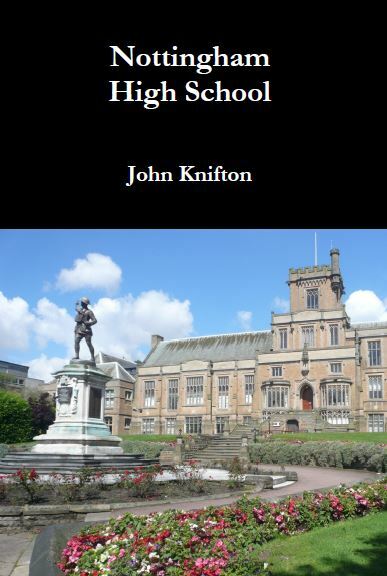 I look forward to the second part John, and shall read it with an open mind! Given that Whittle invented the jet-engine in 1930, why did the powers-that-be not develop it pre-war? Was it perhaps that airframe design in the 1930s could not have accommodated the jet-engine? Or was it simply that attitudes in the Ministry were stuck in the past? I think that the attitude was one of complacency. Stanley Baldwin had guaranteed that “the bomber will always get through” and we had the Bristol Blenheim which was very fast by the standards of the mid-thirties. And we had the Spitfire and the Hurricane as well. We just didn’t need jets! From what I have read, the various Ministries and the civil servants and the services top brass were only interested in not working hard, going home at four and in having a quiet life. Arthur Harris said that every single one of them should have been stamped on the forehead with “Can’t do it”. That included the Merlin engine in the Mustang, stopping the production of poor aircraft like the Stirling and the Halifax, and any one of hundreds of initiatives that were originally turned down, I have a dim memory that the SAS was in that category. I don’t think that the airframes in the late thirties would have been a problem, as was shown by the Germans who produced the turbojet Heinkel He 178 which flew on August 27th 1939. They had a different attitude to new ideas which is perfectly reflected in the differences between the Me 262 and the Gloster Meteor. It must have been an exciting (and risky, one should remember) time to be an RAF/ FAA pilot back then. With new designs, from a plethora of British manufacturers, entering and leaving service. Rather different nowadays with the Typhoon’s 20 year gestation and who knows how long for the F35 Lightning. 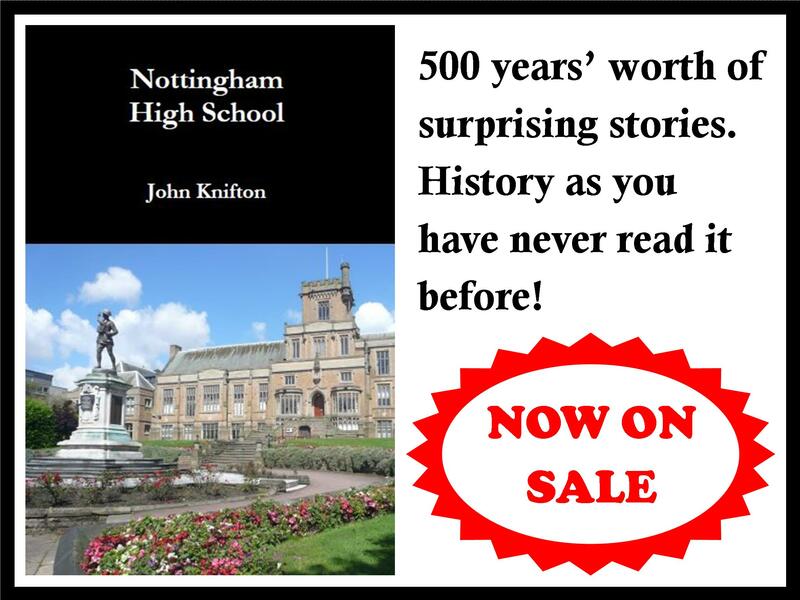 It sounds as if you would enjoy the two books I recommended above, namely “Wings on My Sleeve: The World’s Greatest Test Pilot tells his story” by Eric Brown and “Empire of the Clouds: When Britain’s Aircraft Ruled the World” by James Hamilton-Paterson. 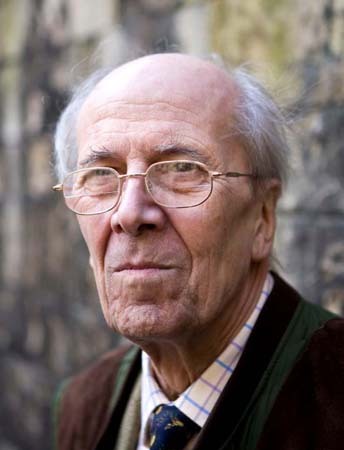 Eric Brown talks about the days when new types were being developed every few months and “Empire of the Clouds” shows how the British were miles ahead in the new technologies until the problems with the Comet and the appearance of the Boeing 707. I think that the pilots were very impressed with the speed of the new jets but had problems with nose wheels as opposed to tail wheels and found the unforgiving nature of jet aircraft in emergencies extremely difficult to deal with, as we shall see in the next instalment. The Meteor may have been homely, but her ugly sister is worth a shudder. So awful the RAF would only fly at night. 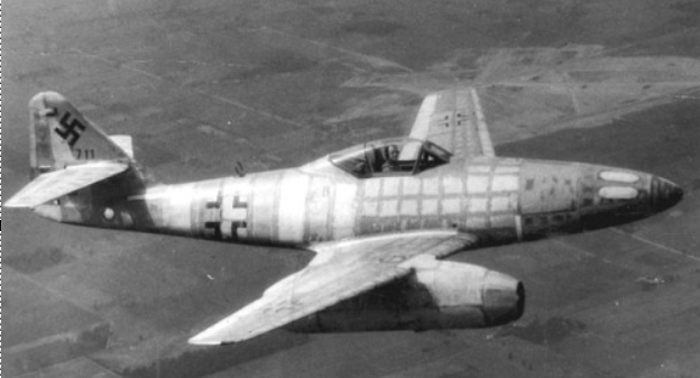 The Me262 was excluded from early post-war speed trials so as not to show-up the poor, relative, performance of the British and American jets with their barndoor aerodynamics. Thanks very much for your input. I know very little about early post-war jets so I’m pleased to have your help.